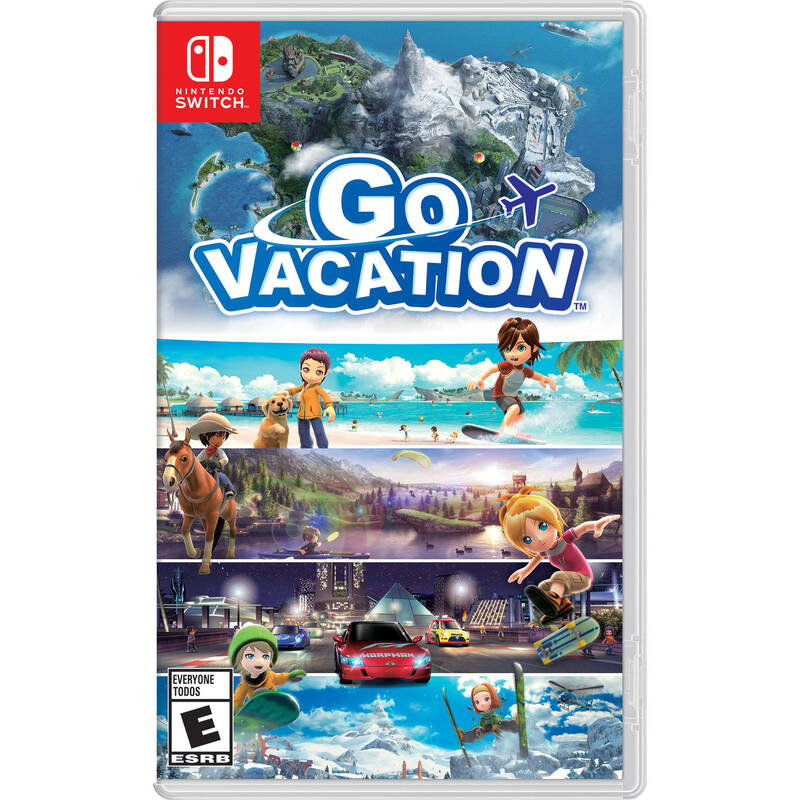 In Go Vacation from BANDAI NAMCO and Nintendo, up to four players can participate in 50+ cooperative and competitive activities. Each player can use just one Joy-Con controller or connect via local wireless. Explore Kawawii Island. Customize your character, costumes, vehicles, and even pets. You can also customize your villa by earning over 450 pieces of furniture. Daily presents and challenges mean that you will want to keep coming back to explore more terrain and play through activities all over again. Mii or in-game characters of friends and family may show up, and if they do, you can compete against them anytime.